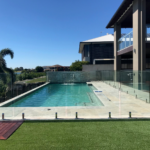 One of the many reasons concrete pools are a favourite among pool owners is because of their flexibility and versatility when it comes to personalising your pool to match your space. One of these fantastic feature options is a swimming pool step, ledge or beach entry. This feature can be customised to fit the needs of your property. Swimming pool steps are typically rounded and placed in the shallow corners of the pool. As with most concrete pool features, steps can be designed and placed to suit your needs and the requirements of the property. 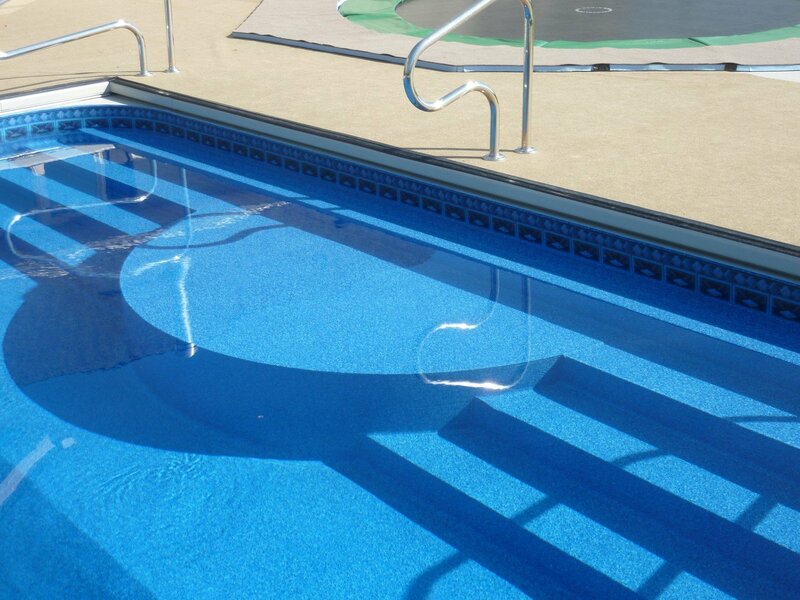 When designing your pool steps, keep safety in mind and opt for a non slip material or tread line tile. Ledges are becoming an extremely popular option among swimming pool owners as a ledge not only adds a multi purpose element to your pool, it is also perfect as additional safety for youngsters. A ledge allows you to take a relaxing dip without fully submerging yourself and provides a great social setting for pool parties. For families with children learning to swim, a ledge can also help get youngsters accustomed to the water as well as acting as a hand hold. 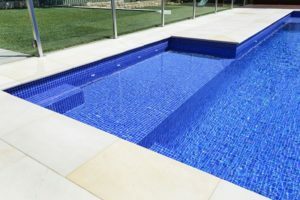 Swimming pool ledges can be customised to fit your needs – consider opting for a slip free surface or fitting a step tread tile so the edge of the ledge can be seen clearly. Looking for a way to add that tropical feel to your property? A beach entry might be the thing for you. A beach entry is also a great solution for kids and older people as there are no steps or ladders. For children learning to swim and grow accustomed to water, a beach entry can also act as a shallow paddle area where parents can easily supervise. 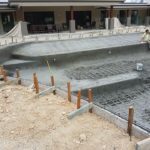 Interested in installing a concrete pool on your property in time for Summer? 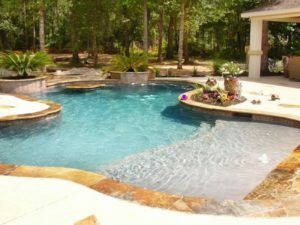 Maybe you just want to update the look and feel of your existing pool with an added feature? For all your concrete pool needs on the Gold Coast, call Cozy Pools on 07 5631 9810. 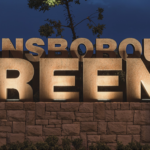 We guarantee friendly service, affordable prices and advice from a team of experienced industry professionals.